Several weeks ago we bought an old used camper trailer. Shortly after we brought it home, we noticed an ammonia leak in the refrigerator. Since the repair would have cost approximately $600, we opted to replace it. 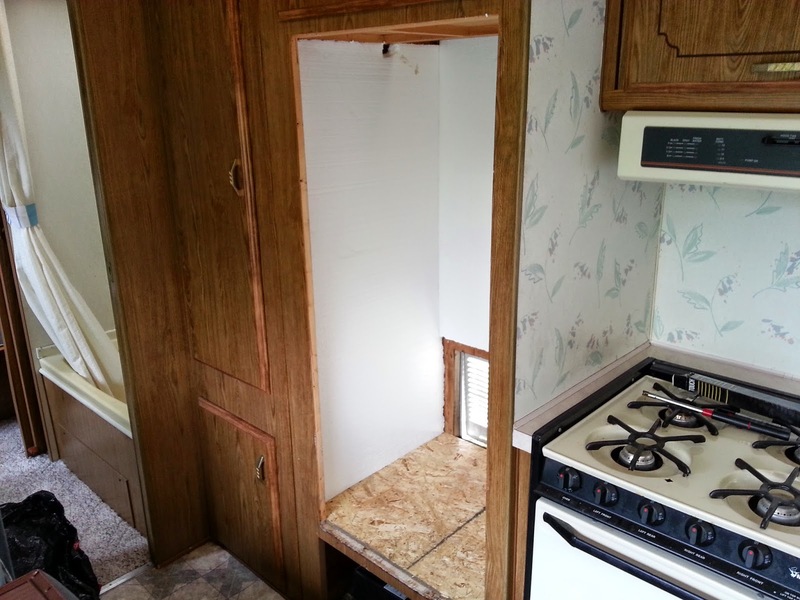 And an RV model is more expensive than what we were willing to pay, so we opted for a residential model that was around $200 and fit the space perfectly (well, almost). The downside to the residential refrigerator is that it cannot run on propane or electric like its RV counterpart. That means we won't have a working refrigerator if we "rough it", but that is fine for our family because we almost always stay at state parks with access to electricity. Here is a video on how I unhooked and removed the old refrigerator. I hope this helps some of you save money by doing these types of repairs yourselves.